US Marine artillerymen have been in the fight against ISIS since March 2016 — and now there’s a new video of their latest exploits in Syria. In a short video made by Marine Sgt. 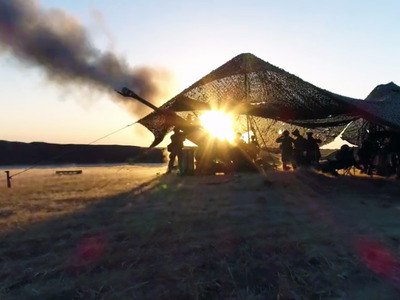 Matthew Callahan, troops can be seen firing their M777-A2 Howitzers during May and June in support of local coalition partners. This latest video from Callahan follows up on a collection of beautiful portraits of troops overseas that he took back in June. Filmed in Syria at an “undisclosed location,” the Marines can be seen loading and firing artillery, which they have been doing around-the-clock as the Syrian Democratic Forces move further into Raqqa, the ISIS capital.